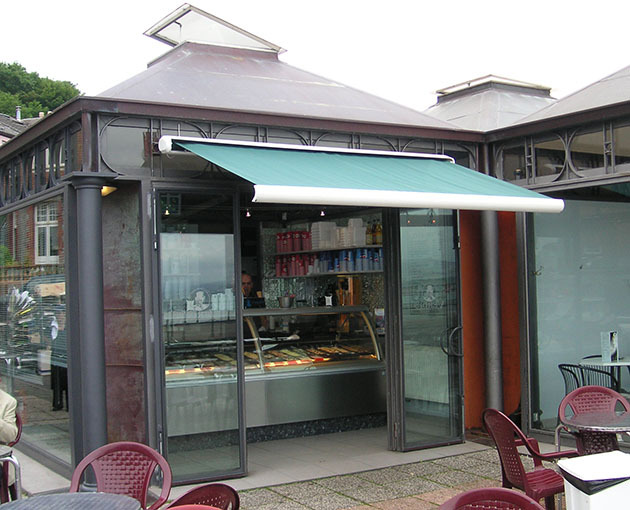 Our best selling commercial awnings enhance the useable outside leisure and business space of business premises whilst protecting customers and colleagues from the elements. Our awnings also dramatically improve the exterior appearance of commercial premises and provide a platform to emphasize your corporate brand identity with our bespoke signwriting. Suitable for a variety of premises and applications, including pubs and restaurants.